Right now, world leaders in Paris are trying to stop climate change from altering the world inexorably. But for hundreds of thousands of people who live in some low-lying nations, it's already late in the game. While climate change for most of us is an abstract concept, the people who live in these low-lying countries are already being forced from their homes. They're often called environmental migrants, or climate refugees — new terms to describe the millions who will have no choice but to relocate over the next few decades. In fact, there are whole organisations devoted to relocation, like TransRe, or Displacement Solutions, a UN partner group that helps climate change refugees find new homes, which it calls "one of the largest human rights challenges of the modern era". All of this is complicated by the fact that climate refugees don't have the same protection that, say, political refugees do under international law (as the ambassador from the Maldives discussed in a COP21 interview this week). So where are the vanguards of this "new normal" reality ending up? Where are people migrating, in an unstable geopolitical climate that's already proven hostile to another refugee crisis? Kiribati in 2004. AP Photo/Richard Vogel. On Monday at COP21, the president of the small Pacific nation of Kiribati gave an unusual speech. As The Guardian reported, he thanked Fiji — a country more than 1851km away! — for agreeing "to accommodate our people of Kiribati in the event that climate change renders our homes uninhabitable". Why should Kiribati thank Fiji? Well, Kiribati is facing imminent inundation by the sea. "The science is clear," reads Kiribati's website for relocation policies. 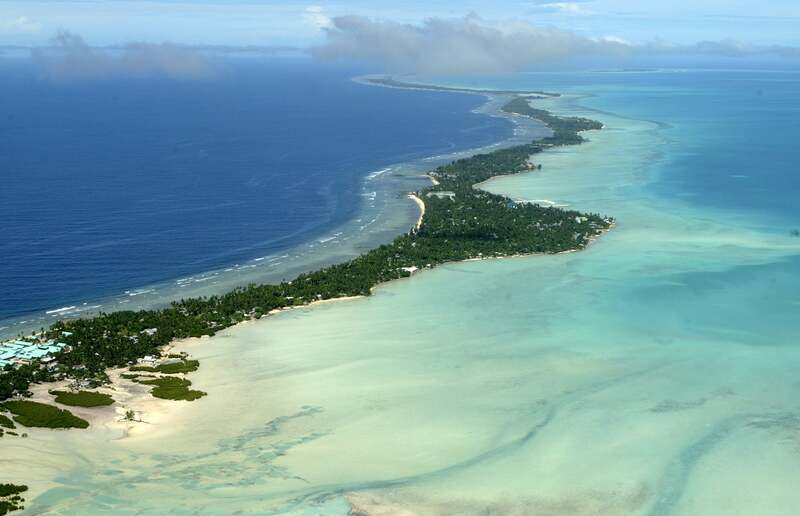 "The Kiribati Government acknowledges that relocation of our people may be inevitable." According to the Climate Institute, that will happen "by mid- to late-century". 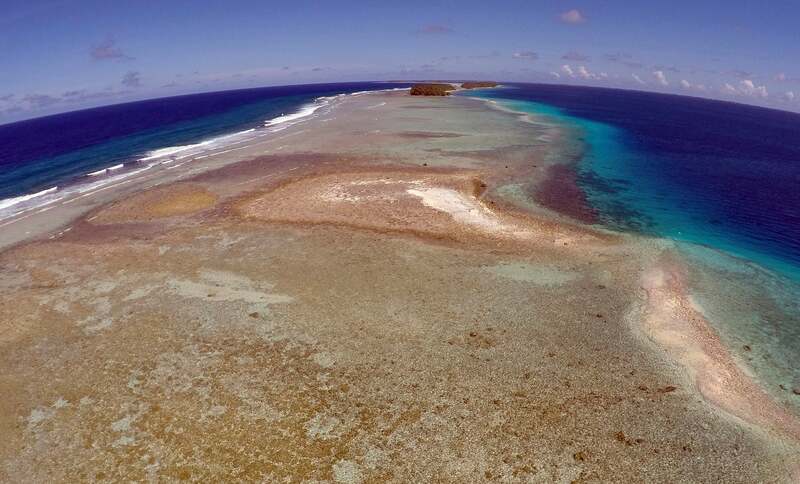 So last year, Kiribati's government bought about 20 square kilometres of land in Fiji in an effort to create a place where its people can go, if and when the sea finally makes the country unliveable. The government calls this a "whole nation" approach to the idea of relocating, coordinating a comprehensive strategy for the future of the small nation. 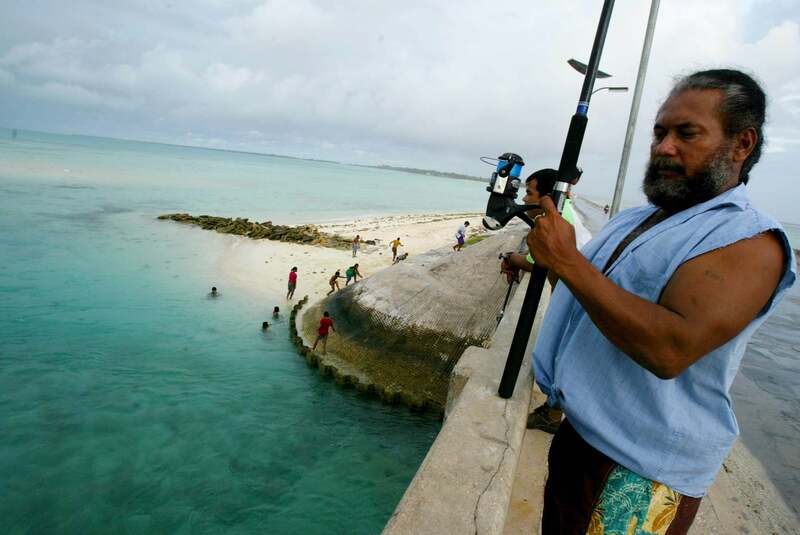 A fisher on the Tarawa atoll, Kiribati. AP Photo/Richard Vogel, File. In addition to buying land in Fiji, the government is actively helping people who want to migrate now develop communities in other countries, which will make relocation easier for other immigrants in the future. That includes bolstering education and skill development. 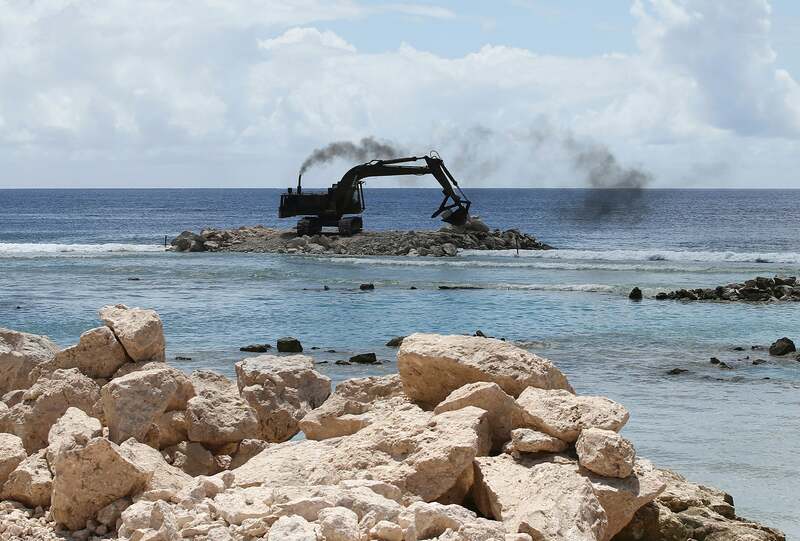 Sea walls construction on the Marshall Islands. AP Photo/Rob Griffith. Yesterday at COP21, President Obama had a special meeting with the leaders of several island nations being overwhelmed by flooding, including the Marshall Islands: a small nation in Micronesia that has been fighting tooth and nail for major polluting countries to address climate change, as The New York Times explains today. "Everything I know — and everyone I love — is in the hands of all of us gathered here in Paris," said President Christopher Loeak after the meeting, according to Al Jazeera. Loeak and his peers want to strengthen their infrastructure and raise up their communities so that they don't have to relocate. 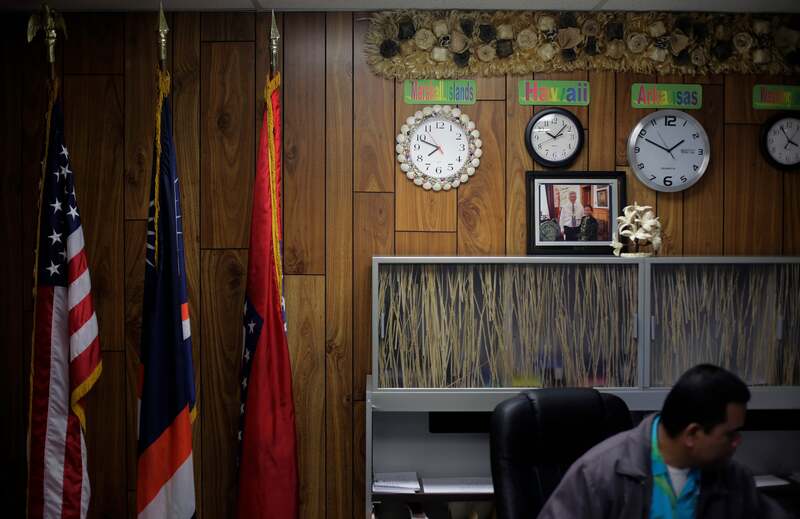 But increasingly, thousands of Marshallese have immigrated to the small town of Springdale, Arkansas, thanks to an agreement that dates back to the Cold War, when the US tested almost 70 nuclear warheads on the islands. The migration has been going on for years, but it's speeding up as more and more Marshallese are forced from their homes. According to the AP, some people even call the town "Springdale Atoll." Still, Marshallese leaders hope that the climate talk and greater visibility amongst world leaders will help them invest in the systems and construction needed to survive the rising tides without relocating completely. 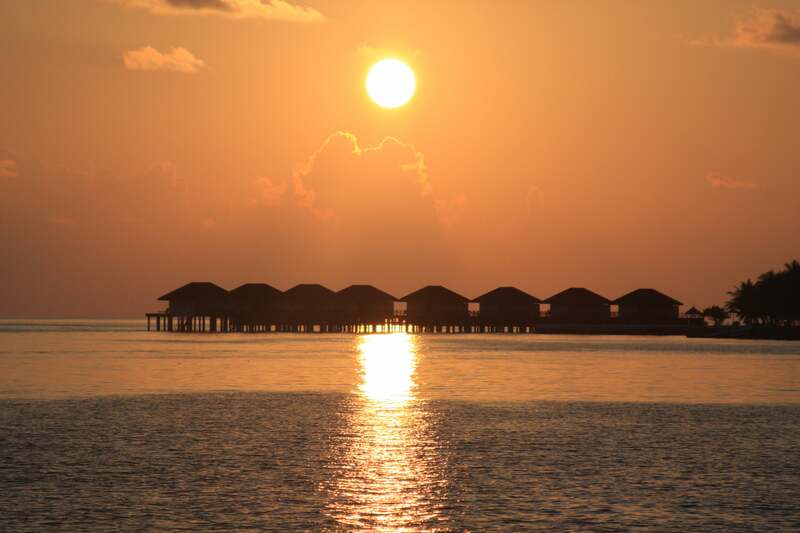 The Maldives to Australia, India, or Sri Lanka? This small archipelago in the Indian Ocean is also one of the most at-risk nations for ocean inundation: it's expected that more than 75 per cent of its landmass will be underwater by the end of the century. Starting in the 1990s, the government sought to develop a strategy for adaption and possible relocation. Then-president Mohamed Nasheed rose to international fame in the 2000s when he became a prominent figure in the fight against climate change, telling The New York Times that "we can do nothing to stop climate change on our own, and so we have to buy land elsewhere", and arguing that the country should begin finding a permanent place to relocate in countries like Australia or India. 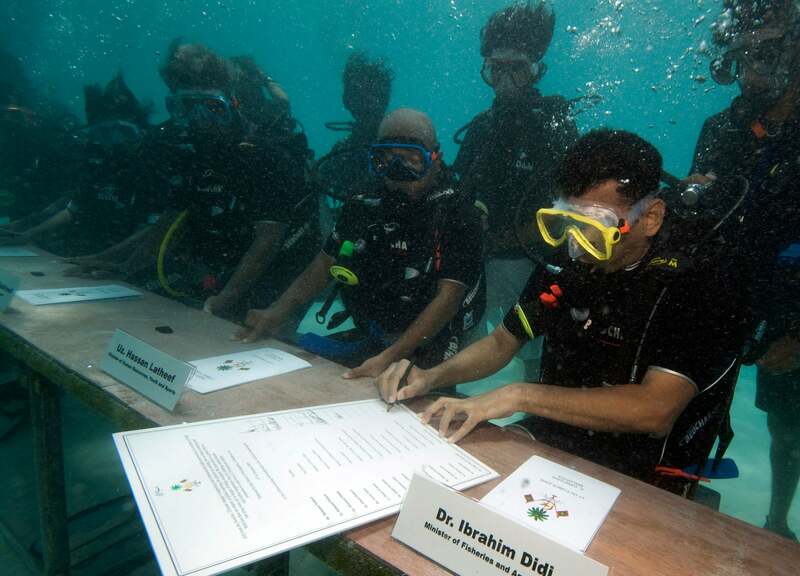 Nasheed even organised underwater cabinet meetings to demonstrate the perils of climate change in 2009. AP Photo/Mohammed Seeneen. But the issues heralded by Nasheed have been clouded by political turmoil in the Maldives. As the The Guardian's Bill McKibben wrote this week, COP21 is missing one key figure because he's currently in jail after a political coup. 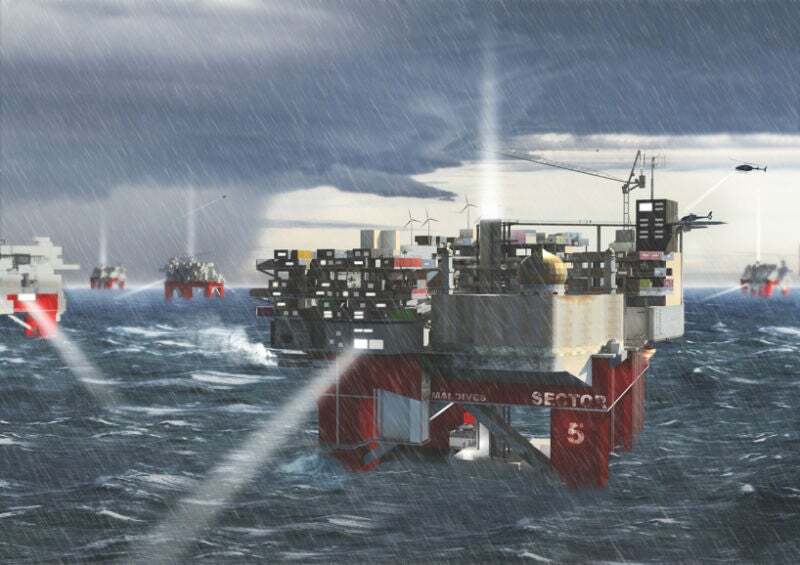 Others, like the architect Mayank Thammalla who spoke to Gizmodo this year about the issue, have proposed more radical solutions — like relocating the nation to small communities built on oil rigs. These are far from the only countries affected by sea level rise, of course. But they're a stark reminder of the reality that more and more of us will soon face — and an example of the ways that our environment will begin to reshape not only our cities and infrastructure, but the geopolitical world as we know it. Lead image: AP Photo/Rob Griffith.